Prince Albert, Brighton, 27 April. 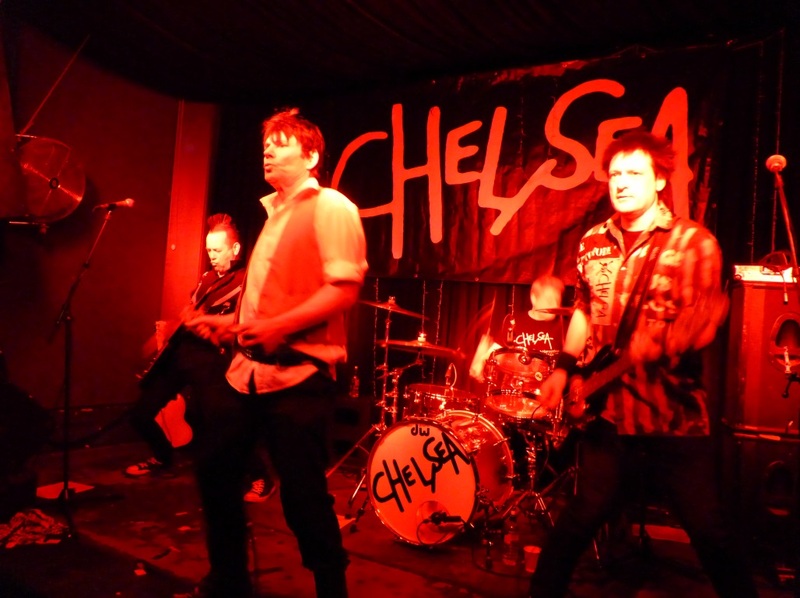 When I last saw the punk stalwarts known as Chelsea perform live in Brighton around a year ago with some of my mates in tow, one of them enjoyed it so much that he honestly physically cried with joy and it was in front of Chelsea drummer Lee Morrell. I had never seen him do that before in all the thirty odd years that I have known him and so there was arguably no pressure this time round for these punk legends to deliver the goods again. Tonight’s raucous event at The Prince Albert, which is situated virtually below Brighton Station, was admirably kicked off by the decent Bradford post punk/goth four piece called 1919. They originally formed in 1980 and who I had the joy of seeing live for the first time last September at the Undercover Festival up at Brighton Racecourse. However, I was saddened to learn that just four months after the event, that their guitarist and founding member Mark Tighe has in fact passed away aged just 56 from cancer and that the Undercover concert that I had witnessed was his swansong. This is a deep shame as his relaxed stance and distinctive sound shall be sadly missed. I can remember getting into 1919 when I heard (and secretly taped as we all did back then) their first John Peel session in 1982. This led me to purchase their excellent short but sweet debut album entitled Machine the following year. If you’re a fan of the first three Killing Joke albums (Killing Joke, What’s This For…!, and Revelations) then you really must buy Machine or even better purchase the 1919 The Complete Collection. Now 34 years after their debut album, they have just unleashed a second one (blimey someone has a longer gap than Kraftwerk!) entitled Bloodline, which has ten tracks and four of which namely Bloodline, Retrograde, Disassociation, and Waiting For God got an airing tonight. The remaining six tracks from their set that singer Rio, drummer Mick, Karl on bass and brand new guitarist Sam superbly performed tonight were Revenge, After The Fall, Repulsion, Dream, Death Note, and Cry Wolf. My fave 1919 track is entitled Alien, but alas they didn’t play it – maybe next time? Back in the 1970’s, the Iggy Pop/Jagger-esque Chelsea founder and singer Gene October (real name John O’Hara) placed an ad in Melody Maker inviting musicians to form a punk band. 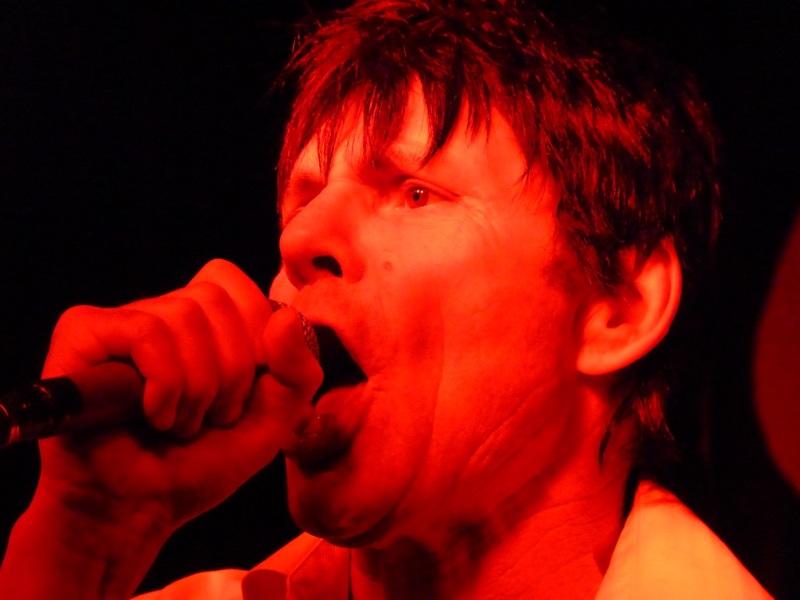 Gene sure had an eye for talent as he recruited Billy Idol, Tony James and John Towe, who shortly after became Generation X without Gene – charming!. Billy went onto conquer the USA and Tony masterminded the brilliant Sigue Sigue Sputnik. Over the years the Chelsea line-up has changed quite a bit, but I suppose that is to be expected of a band that have been going for 41 years! They too have recorded sessions for the John Peel show and Gene even starred alongside Adam Ant, Toyah and Siouxsie Sioux in Derek Jarman’s Jubilee film. Chelsea haven’t been the most successful punk band on the planet, but their admirable staying power has been enough in order to release not one, not two but three anthology CD box sets. The accomplished 16 song Chelsea set tonight (from this current 4 piece line-up of singer Gene, guitarist Nic, bassist Mat and drummer Lee) was as you would expect it to be, nice’n’fast no-nonsense punk. They are really worth the money and still full of energy after all this time. Chelsea setlist tonight was a slightly edited version of the 2016 show I had witnessed and so one after another the following tracks were blurted out in this order: Sad, 12 Men, Come On, How Do You Know, I’m On Fire, The Loner, No Flowers, Johnny Has No Respect, War Across The Nation, No Ones Coming Outside, No Admission, Urban Kids, We Don’t Believe You, Evacuate, Last Drink, Right To Work. For the record, the order of the 1919 setlist was: Revenge, Retrograde, After The Fall, Repulsion, Dream, Bloodline, Waiting For God, Death Note, Disassociation, Cry Wolf. 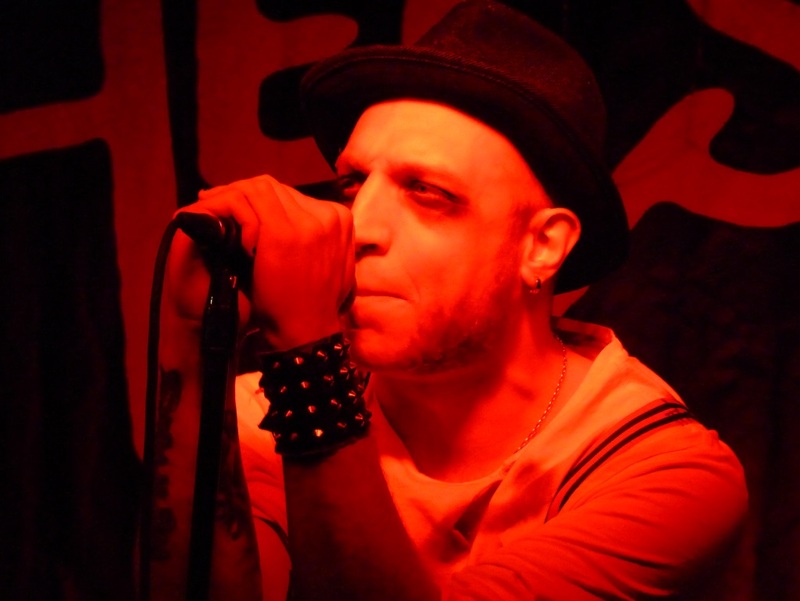 A fantastic evening was had by all and sundry and lets prey that both bands return to Brighton very soon!